Sophisticated preparations of Greek and Armenian classics, served in a simple setting. : Elena Petikyan's modest, family-run Greek-Armenian restaurant has been serving Mediterranean cuisine since 1976. The restaurant sits in a residential section of Glendale, which boasts one of the largest Armenian-American communities in the nation. The exterior is lined with Christmas lights, even in summer. Inside, a makeover left Elena's with handsome tile floors and a dozen homey tables. Appetizers include a small or large Greek salad, lemony and earthy lentil soup, and golden-crusted falafel served with paprika-dusted hummus. Regardless of which entrée you order, expect a choice of soup or salad. 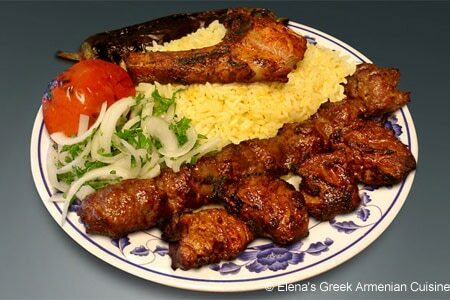 Salmon, chicken, beef or lamb kebabs and ground meat kafta are generally what draw folks to Elena’s, while lamb chops, filet mignon and dark-meat chicken are all seasoned with a house-secret red marinade, imparting a vibrant smoky flavor from being grilled over wood-buttressed coals. 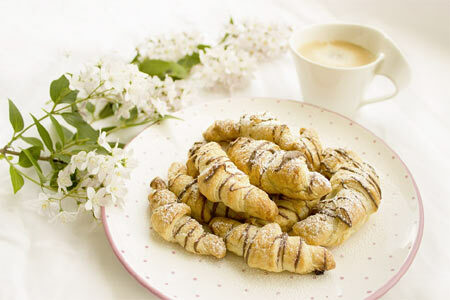 For dessert, there's soupy, cinnamon-dusted rice pudding and baklava, which one can pair with a sweet but potent cup of Armenian coffee.